Just in time for Winter Solstice/Yule, here are some gift ideas to give or ask for! Of the items here, many will help your spiritual practice, enriching your day to day life. Others will help you be understood by loved ones, or help you open a child’s eyes to our glorious Universe. I’ve listed items for adults, then books/DVDs for adults, followed by the same two categories for parents/kids. I hope to update this guide yearly, making it available before thanksgiving. 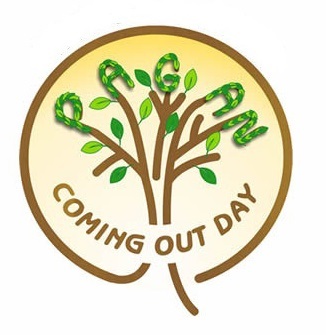 Oh, on a side note – many of us have relatives who assume that excluding some family members with the Thanksgiving grace is OK. Here’s a video and inclusive grace resource that can be useful to check before that comes up next week. 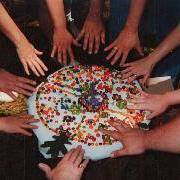 Lupa Greenwolf’s natural Pagan crafts (some make great ritual tools). Also includes ritual wearables, artwork, and divination tools (yes, Naturalistic Pagans can use divination as a way to get a better idea of our own inner thoughts). These deeply moving meditations (with ritual instructions) can be an important part of your spiritual practice. Though Goddess based, they can be used by men also. A Cosmala is a set of sacred Pagan beads which tell the story of our history, from the Big Bang until today. My set includes many of my Ancestors, and is my most powerful ritual tool. Though not available commercially, the instructions for making one are here – an especially good choice for those who prefer to hand-make the gifts they give. Big History Car Decal! 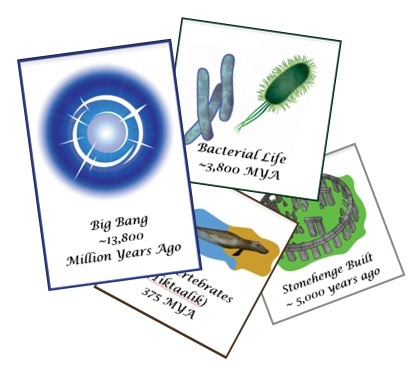 These colorful decals show our history from the Big Bang 13.8 billion years ago until today. Will we build a just, healthy and sustainable world for future generations? Join me in helping everyone see both our deep past as well as the choices before us by getting this decal for your car too (Video description). But you can’t see your car when you are in your kitchen, right? You can also get these same images as inexpensive refrigerator magnets – sharing our past and hope for the future with your family. The magnets allow our history to be arranged as you like on your refrigerator. Images by Liza Littlefield. (Due to supply issues, both these items won’t ship until around December 9th, but you can still order now to ensure that you’ll get them as soon as possible). year) subtly walks us through our Great Story with inspiration from our Universe. In fact, the 10 pack is a good bargain for gift giving, which I have gotten for years – bringing our awesome Universe often to relatives with very different religious views from me, who share our joy in the world we live in. Even with 10, they still run out too soon! This game looks like a fun way to learn about DNA. Has anyone tried this game? It’s one of the few things on this list that I haven’t tested out myself in my family. We are so lucky to live at a time when we know more than our Ancestors could have imagined about our world and our history. I revel in this knowledge, and can get replicas of so many sacred objects (I try to get ones that are the actual size when possible, too). here are a few of the ones that others or myself have. In addition to often being effective ritual tools, can help our kids learn our family culture. Many of us have an altar or focus – a perfect place for their presence. What deity do you, a loved one, or your family feel especially connected to? Prometheus, the Triple Goddess, the Green Man, and others come to my mind. If you don’t see her or him here, check Sacred Source, Ebay, Amazon, and Google. I try to buy from Sacred Source or other small shops before the others when I can. Kernun nos, God of the wild wood. Timeless, tireless guardian of all living things, the Horned One. The Celtic Father of Animals, with his companion Stag and Boar, is an archetype of mature masculine energy in balance with the natural world. 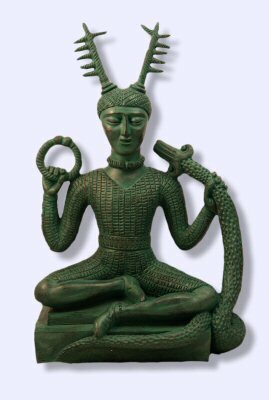 Taken from the Gundestrup cauldron, this image shows the forest god in his typical yogic pose of meditative entrancement with nature. This figurine was found in the Austrian village of Willendorf in 1908 and dates back to the Paleolithic period of prehistoric times.. The voluptuous female figurine is cut from oolith (limestone), a type of stone which originally was not found in this area. “Goddess figurines” is a collective term for prehistoric female figurines found throughout Europe and elsewhere. The original meaning or meanings of the Goddess figurines is unknown. It is likely that, in the hunter and gatherer society of those days, their corpulence stood for prosperity and fertility. Honor the Solstices, Equinoxes, Thermstices and Equitherms of our sacred year with this seasonal pictorial wall plaque- and you don’t even have to show any math! Rich symbolism in loving detail. We have four Wheels of the Year in various places around the house. 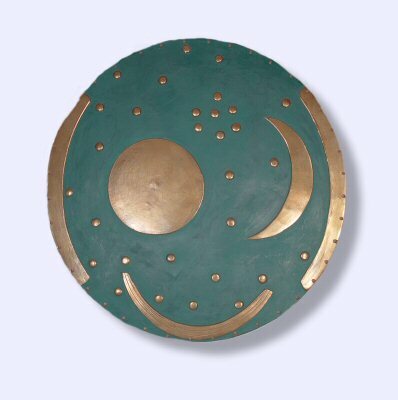 The worlds oldest star map – an exact, full-sized replica of the 3,500 year old disc recently discovered within a Neolithic woodhenge observatory near Nebra, Germany. The original, bronze with gold plated stars, shows several constellations, including The Pleiades. If you have Asian, African or European Ancestors, then your Ancestors made, revered, and used this. inosaurs) and an opposable hallux (big toe) for perching. The most spectacular feature is the distinct impression of feathers around the forelimbs and tail. I have a replica like this on my living room wall. Everything we touch is made of these elements – this starstuff! Here is a rich Periodic Table of the Elements, showing both the elements as well as their place on the table. We have one of these, in a 3′ X 5′ frame, on our living room wall, between the archeopteryx. Acheulean hand axe To hold one of these ancient artifacts in your hand, to know that it was made hundreds of thousands of years ago by an earlier human – likely one of your Ancestors – to aid in daily survival, is truly a humbling experience and a direct connection to our far distant past. 23andme DNA test! It’s incredible to imagine that we can tap into the information in our DNA, opening a window to our Ancestors both recent and ancient. For me, reading my own DNA has been a spiritual practice, one that you can share in. Here is an article and video about it. The “Ancestry only” version costs half as much as the full test. While many Pagans today believe in literal gods, there are a growing number of Pagans who are “godless.” Today, the diverse assemblage of spiritual paths known as Paganism includes atheist Pagans or Atheopagans, Human- istic and Naturalistic Pagans, Buddho-Pagans, animists, pantheists, Gaians, and other non-theistic Pagans. Here for the first time, their voices are gathered together to share. Available as paperback and ebook. Spinning in Place The book describes a cycle of eight seasonal celebrations which humans have observed for thousands of years in various ways. These are the equinoxes and the solstices as well as the so-called cross-quarter days. Here is an interview of the author. Lupa Greenwolf’s Books Lupa explains: Nature-based spirituality has been a conscious part of my life since 1996, though nature has always been sacred to me to one degree or another, ever since I was very young. I especially gravitated toward animals, so it was no surprise that animal totems and other such beings have been central to my practice. My first book, Fang and Fur, Blood and Bone: A Primal Guide to Animal Magic, was published in 2006, and I’ve had several titles published since then. 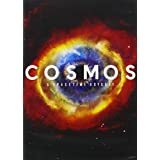 Carl Sagan’s Cosmos (available on DVD) Carl Sagan’s Cos mos is my #1 recommendation to families for giving children the priceless gift of our Universe, which they will carry with them into adulthood. It’s essential inspiration for me, as an adult, too. Nearly all of the original version is still wonderful and relevant today. The original and new versions have a lot of different content – I highly recommend owning both. 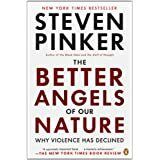 In his gripping book, New York Times bestselling author Steven Pinker shows that despite the ceaseless news about war, crime, and terrorism, violence has actually been in decline over human history. 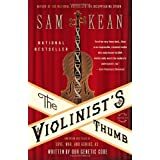 Exploding myths about humankind’s inherent nature, this ambitious provides a remarkable picture of an increasingly enlightened world. editor’s note: This book helps show a Humanistic worldview more than any book I know. It changed my view of history, and I consider it essential reading for all Pagans, naturalistic and otherwise. Available in both book and audio form. The audio is especially useful because it’s not a short book, and so listening on workouts or commutes works well. 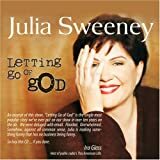 Equally comedic and insightful, Letting Go of God is Sweeney’s brilliant one-woman show about her struggle with her faith. While faced with door-knocking Mormons and wise-cracking priests, Sweeney takes listeners on her very personal journey from God to “not-God”. For me, this has been a helpful door key, making it easier to come out of the Atheist closet to Christian family and friends. It’s non-threatening, using comedy to safety open discussions of Atheism. 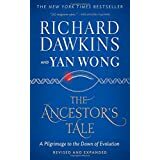 The Ancestors Tale takes us modern humans back through four billion years of evolution on our planet. As the pilgrimage progresses, we join with other organisms at the forty “rendezvous points” where we find a common ancestor. The band of pilgrims swells into a vast crowd as we join first with other primates, then with other mammals, and so on back to the first primordial organism, meeting our Ancestors that many of us don’t yet know. Here Dawkins shows us how remarkable we are, how astonishing our history, and how intimate our relationship with the rest of the living world. The audio version is especially good, being read by Dr. Dawkins himself, who is so cool that he autographed my Darwin Cosmala bead a couple weeks ago. 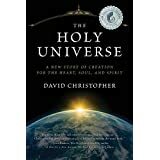 Here is a sacred way of seeing our Universe – The Holy Universe, by David Christopher. Told through a dialogue between a Seeker and his Sage, the worldview developed here transcends dogma and belief, giving readers a new way to reconnect with the cosmos. Human history is grounded into the larger history of the universe. Pagaian Cosmology brings together a religious practice of seasonal ritual based in a contemporary scientific sense of the cosmos and female imagery for the Sacred. This book is well referenced academically and emphasizes the Goddess naturalistically. An excerpt is here. see story after story of looting, murder, genocide, torture, slavery approved by this god. For people who have ready a Bible cover to cover (as I have), this is redundant – but for others, it is an eye-opener that saves many hours of readying boring lists of begats. My spirituality if future-focused. It is future generations who will determine the fate of humanity and the rest of our family of life on Earth. We have the opportunity to help give them some tools for that task. Or we can leave it to popular culture to fill their minds. It’s our choice. Here are first, items, then book/DVD, holiday gifts for parents & kids. Evolution board game As with so many other topics, kids learn best while playing a game. Though I haven’t personally played this one, it looks like a game the whole family can enjoy, and is more affordable than the game we have here at our house (Evo). Our Evo game has been played so many times that it’s pretty worn out, and has several odd items being used as substitutes for missing pieces. A glimpse of life half a billion years ago! The first ancestors of many animal groups appeared over 500 million years ago. This set includes five scientifically accurate toys, and each toy comes with a tag explaining the animal’s phylum, class, actual size, modern relatives, and more. Our Ancestor, pikaia, is included. Similar (and more affordable) toys are available in Toobs, (though the Cambrian Life Toob doesn’t include pikaia). Many other Toobs are very educational, including mammal skulls, Powhatan Native Americans, venomous animals, and more. Parental discretion is needed, as there are also Toobs of things that aren’t real. Not soft and cuddly enough? How about plush trilobites, ammonites, and euryperids? Many kids will be comforted by a soft friend – with these, that friend can open the door to deep time too. 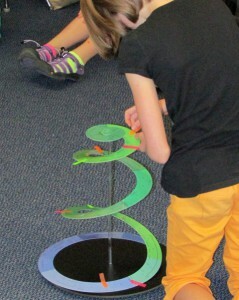 Build a DNA model! For older kids, this kit will allow them to build DNA, seeing how it twists and how base pairing works. This goes well with actual DNA results from 23andme DNA tests, which parents can either provide from their own DNA, or older kids may want to have their own results. Family discussions can explore family Ancestry stories and discoveries. It’s incredible to imagine that we can tap into the information in our DNA, opening a window to our Ancestors both recent and ancient. For our family, reading our own DNA has been a spiritual practice, one that you can share in. Here is an article and video about it. Timespirals enable you to grasp the enormity of the 13.8 billion year story of the universe, allowing you to comprehend the awesome scope of the events and processes necessary for you to be on planet Earth at this time. 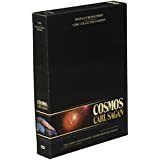 Carl Sagan’s Cosmos (available on DVD) Carl Sagan’s Cos mos is my #1 recommendation to families for giving children the priceless gift of our Universe, which they will carry with them into adulthood. It’s essential inspiration for me, as an adult, too. Nearly all of the original version is still wonderful and relevant today. The original and new versions have a lot of different content – I recommend owning both. Understanding how we got here gives a child roots – a foundation on which to build a life. For the youngest kids, aged 3 to 7, “Grandmother Fish” is the best introduction to evolution out there. “Our Family Tree” by Lisa Peters is also very good. Next, for ages 5 to 10, is the “Born with a Bang” trilogy by Jennifer Morgan. After that the child can read on their own, so Richard Dawkins book, “The Magic of Reality” is a good choice for kids over 11. Both Grandmother Fish and Mira & the Big Story (video trailer here) are great for young kids, and especially for kids’ story time, such as at UU churches. Mira helps kids understand that there are mythical creation stories out there, and that those stories can cause divisions among people. Another evolution book for kids is here – it looks good. It’s brand new & the only one I don’t yet personally own and read to my kids – it just came out. My name is Medusa – A kid’s introduction to Goddess Spirituality by Glenys Livingstone “A wonderful introduction to an d re-framing of the myth of the wise, powerful, fabulously snaky-haired Medusa. The magical pages of this gorgeous book teach children love for the Earth and for all of Her creatures.” Review by Miriam Robbins Dexter, author of Whence the Goddesses. Also available – the Girl God Calendar. Elemental Birthdays lets anyone celebrate birthdays while having fun with science. All the elements of the universe have an atomic number (Z). Elemental Birthdays matches that number with a birthday. The book uses this simple idea to incorporate the elements into fun, easy party themes, and it provides a step-by-step guide to games and activities. The result: a party where kids and adults have fun learning science! The BBC “Walking with” series is excellent – especially “Monsters”, “Cavemen”, and “Beasts”. 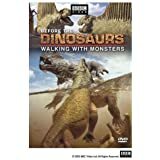 Many people think of the dinosaurs as the first inhabitants of the earth, but this prequel to Walking With Dinosaurs puts viewers in the midst of a host of strange creatures that inhabited the earth millions of years before the dinosaurs ever existed. With the help of complex computer animation and the research of hundreds of paleontologists, the BBC presents an extremely realistic picture of the earth’s earliest, most primitive aquatic inhabitants and chronicles their evolution to the precursors of man himself and the mighty dinosaurs. For younge r kids, the need for evidence is shown by: ”Scooby-Doo, Where Are You! : The Complete First and Second Seasons (1969)”. Many of us Gen-Xer’s learned critical thinking and the need to look for rational explanations for supernatural claims from this lovable dog. The best thing is that kids love it – asking to see episode after episode. To me, this is the “real” Scooby – after these two seasons, the series declined, losing some critical thought and becoming a mediocre, regular, (and, shall we say…) “scrappy” kids cartoon. Did I miss a great gift? Put it in the comments section!